To operate effectively, chatbots need to be able to quickly match user intent to relevant information. This means querying the available knowledge sources for answers. As it turns out, the better organizations structure, organize, and publish this information, the better their chatbots will be. 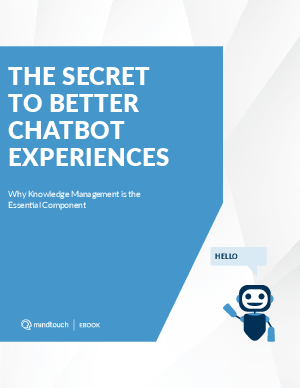 This puts next-gen knowledge management solutions square in the middle of the chatbot conversation.